The Heidelberg Retina Tomograph (HRT) is based on fast and reproducable topographic measurements. The glaucoma module premium edition provides high-resolution two- and three-dimensional images of the optic nerve head, the retina module of the retina and the rostock cornea module of the cornea. 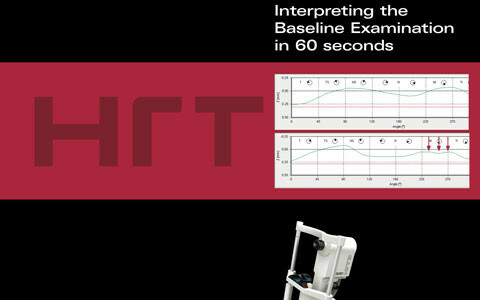 Learn how to analyze HRT examination results with this quick interpretation guide. This overview focuses on the key evaluation parameters for glaucoma diagnostics to enable safe and early detection of any anomalies.